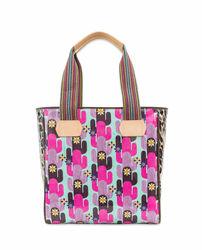 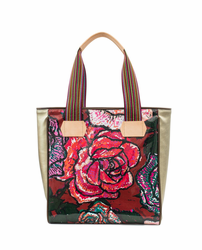 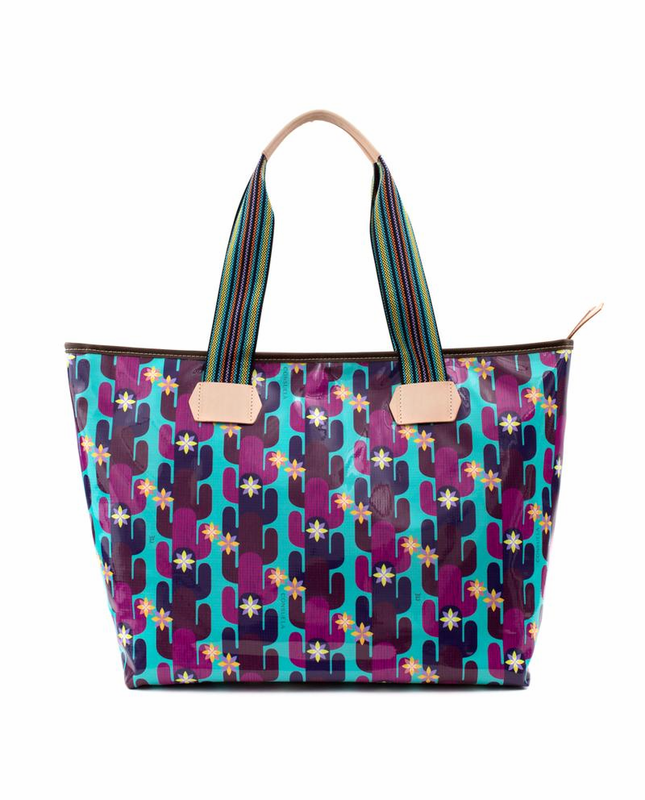 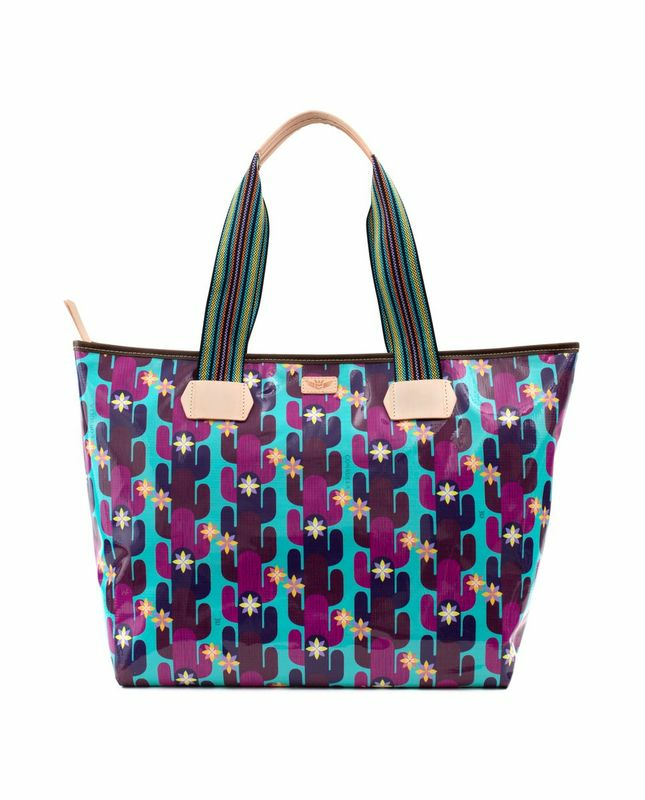 The Twyla Zipper Tote has multi-colored webbing handles and is trimmed in natural leather. 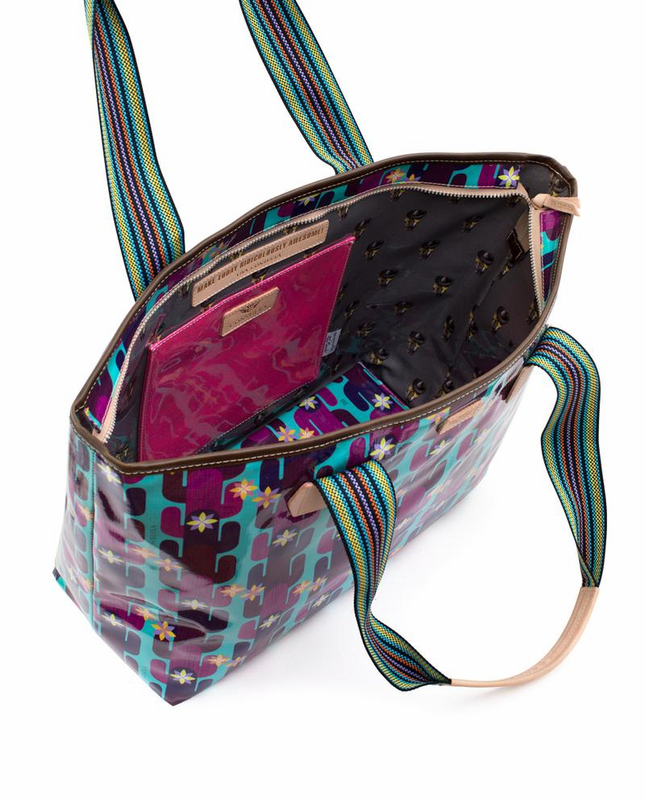 Inside the giant top-zip opening you’ll find the Siesta Ditty lining, a zippered pocket and a large pocket in Hottie Glitz—perfect to stash your cell phone and keys. 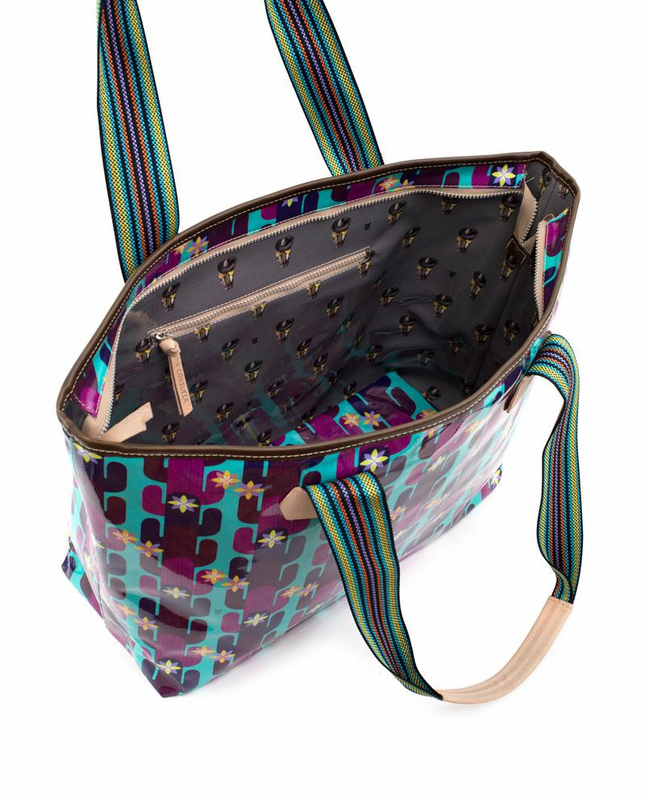 All items in the Legacy Collection are made in unique ConsuelaCloth™, known for being durable, vibrant, and easy to care for. 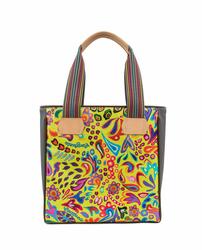 Celebrate Endless Summers!